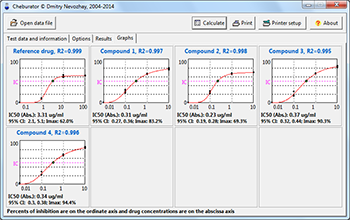 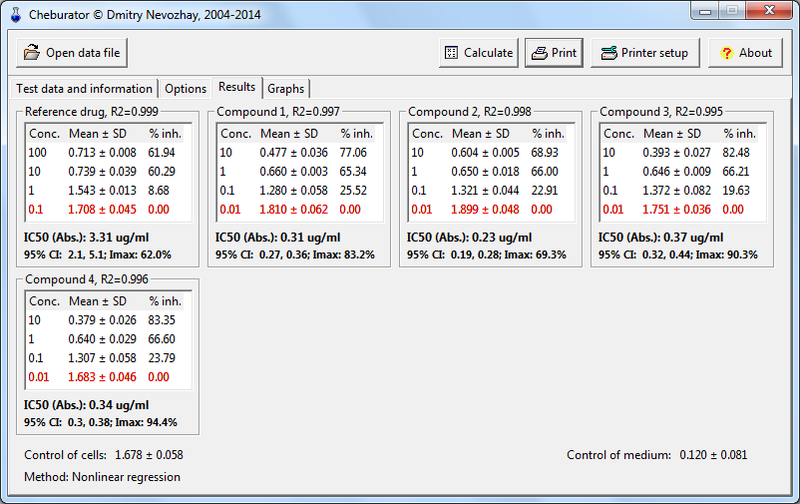 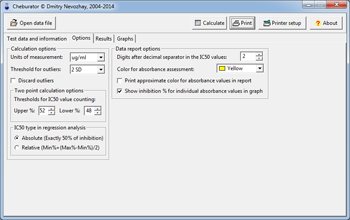 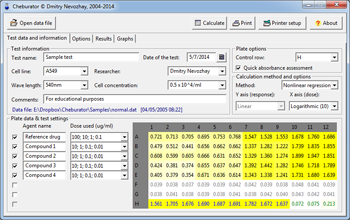 The Cheburator software was developed for automated data processing and calculation of the IC50 values from the in vitro screening tests. 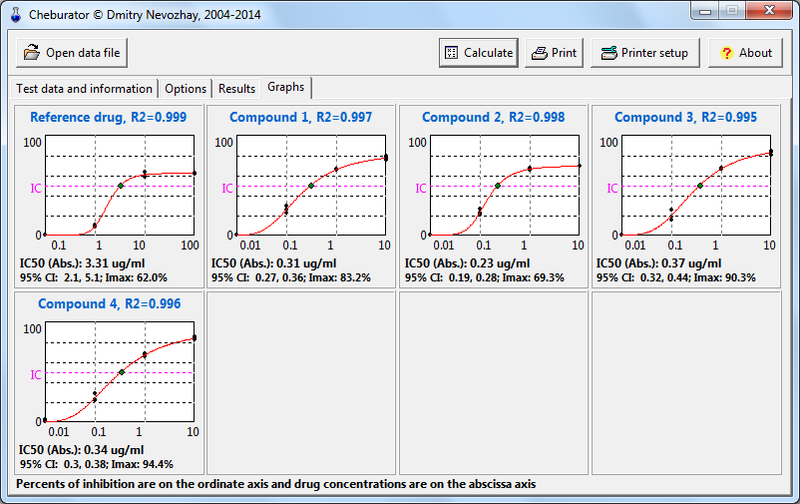 The results of these in vitro drug screening assays are commonly expressed as inhibitory concentration 50% (IC50): the concentration of the tested agent that inhibits the proliferation of the cancer cell population to 50% of the theoretically possible effect (absolute IC50) or maximum effect practically achieved by the drug (relative IC50). 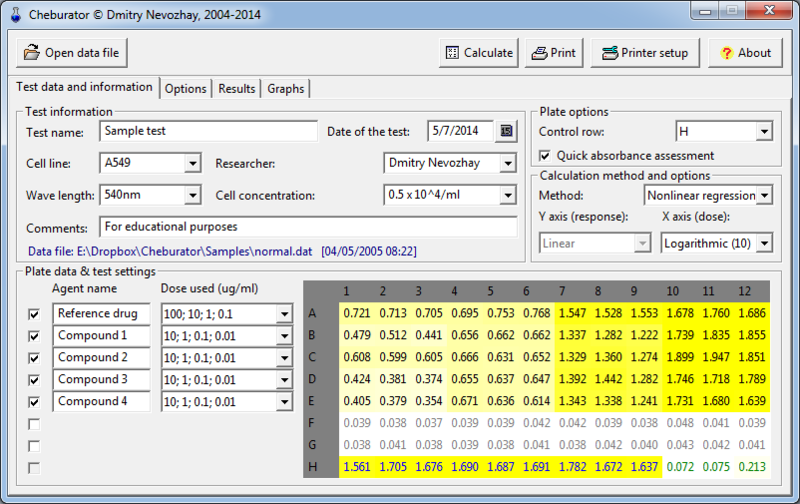 The amount of data obtained during a screening test requires extensive processing and calculation. 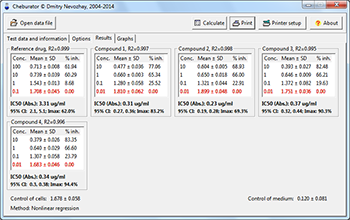 This software can substantially reduce the amount of time spent by scientific staff on data evaluation and can be used in numerous laboratories working in the area of the in vitro drug screening programs.